Years ago, the first mention of “Corpse Party” made me laugh. It’s such a ridiculous name! However, after finally sinking my teeth into the PSP release in 2011 I realized that this was one hell of a good, not to mention terrifying, horror adventure. Over the years we’ve seen a few more Corpse Party titles released digitally in English. 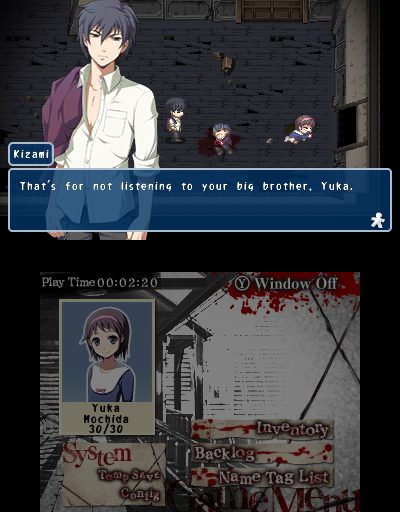 Very soon, we’ll finally see the PSP iteration of Corpse Party brought back to life for 3DS. Horror fans who have somehow missed out on the series over the past few years seriously need to give this one a look. The concept is simple enough. Everything begins with a group of high school students performing the “Sachiko Ever After” ritual to ensure they remain friends forever. However, it seems they’ve messed up and incur Sachiko’s wrath instead. The students are henceforth trapped within Heavenly Host Elementary – an apparently haunted and deadly school setting. 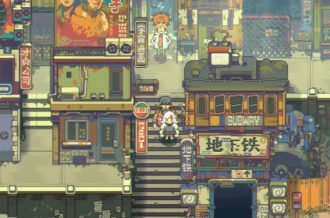 Your goal is to help everyone to survive via adventure and exploration-style gameplay, but there are all manner of bad endings standing in the way. Those who have played Corpse Party already know what a powerfully creepy experience it is. This appears to remain the case for the 3DS iteration. The binaural audio is still totally present, no scenes have been cut (after all, much of the worst gore is simply described rather than depicted), and there are even an additional four Extra Chapters exclusive to 3DS. Each of these chapters is fairly expansive and includes interactive elements as well. 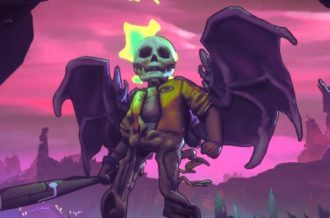 It’s worth noting that the PC release which is already out on Steam and GOG also has an exclusive chapter. Why opt for the 3DS version when there are options on both PSP and PC to snap up instead? Well, aside from preferring the 3DS system itself, there are other differences. 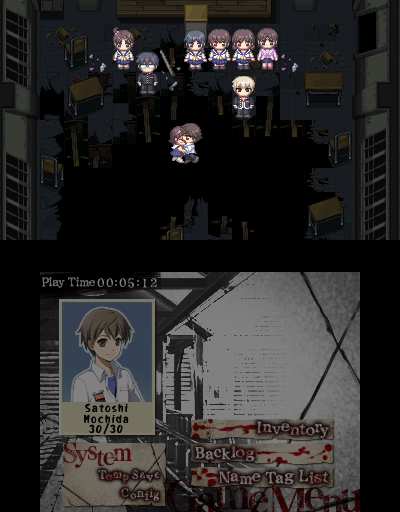 This is the only version of Corpse Party which has been completely remastered with redrawn character sprites in a higher resolution. 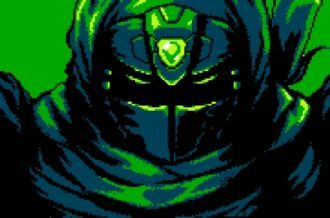 At first glance, the characters didn’t really look all that different from my memory of the PSP iteration, but the work is appreciated regardless. Secondly, the soundtrack has also been rearranged. 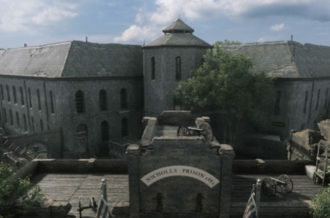 The CG scenes have also been updated to display in 3D. 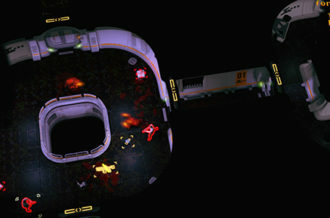 That’s the only bit which is in 3D, though, as the rest of the game remains 2D as it originally was. If you find those perks worth it then the 3DS version is worth a pick up when it launches on August 30. There’s one final bonus to this release which is the matter of a physical version being produced – the first for Corpse Party in English. The Back to School edition will set you back $49.99 and comes with a soundtrack CD and two figures of Seiko Shinohara and Naomi Nakashima. Of course, a digital version is also coming to the eShop and is set to cost a bit less at $29.99. No matter which version of Corpse Party you select, you’ll be in for a horrific treat. 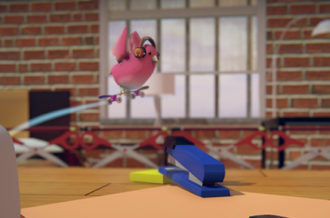 ← E3 2016: Yooka-Laylee – Too Referential for Its Own Good?